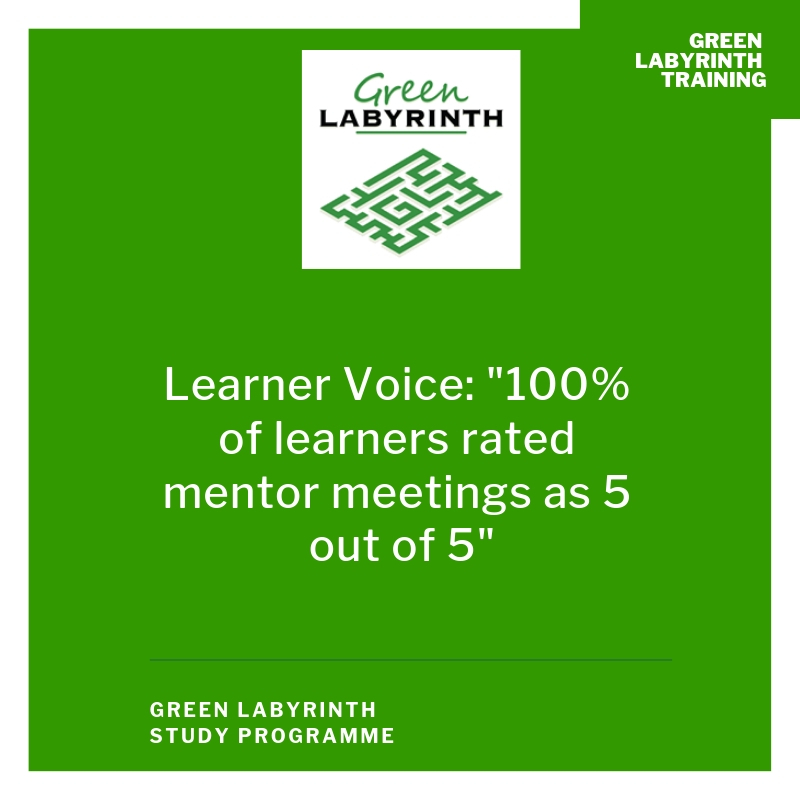 At Green Labyrinth Study Programme, all of our cohort have had some kind of barrier to learning, which makes additional learning support one of our biggest focuses to help our young people succeed. As part of the induction, all learners will have a 121 meeting with our Head of ALS. In this meeting, an ALS form and SDQ is completed to ensure we collate all the relevant information from learners (and their referrers) to ensure we support them in the best way possible. Every staff member of the Green Labyrinth Study Programme has had special educational needs (SEN) training and mental health awareness, which is updated regularly. With small class sizes, in class support and structured behaviour interventions, we can offer a high standard of academic support for our learners. Out of class, we have a trained in-house counsellor and behaviour key workers who are experienced in working with all types of needs. Green Labyrinth have a designated team to monitor the outcomes of all our learners with Educational Health and Care Plans (EHCPs) and Looked After Children (LACs), as well as liaising continually with parents, carers and professionals working with our young people to promote a multi-agency approach. We meet regularly as a team to ensure learners’ progress is discussed and any support requirements are addressed.